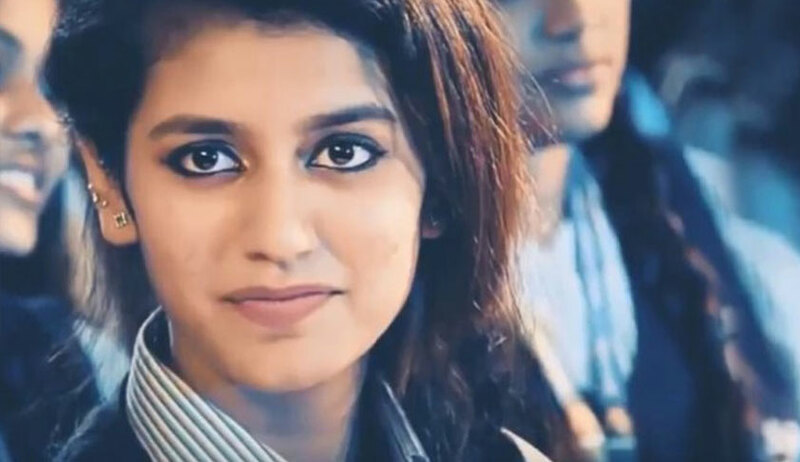 Amidst controversy and rage over a song titled ‘Manikya Malaraya Poovi’ from the upcoming Malayalam movie Oru Adaar Love, 18-year-old Priya Prakash Varrier, who is making her debut with the film and its director have moved the Supreme Court praying for quashing of criminal cases registered against them for allegedly hurting the religious sentiments of Muslim community. Priya, a student of BCom from Trichur, Kerala, and the movie’s director Omar Abdul Vahab have in their petition sought quashing of FIRs registered against them in Falaknama police station in Hyderabad, Telangana on February 14 after ‘Manikya Malaraya Poovi’, a Mappila song or a traditional Muslim song was released on YouTube. They have also sought direction “prohibiting the states not to initiate or register any criminal proceedings, complaint, FIR against them on complaints that are received stating that the lyrics of the song has violated the religious sentiment of a particular community”. It is to be noted that the movie makers had on February 9 released the promotional video of the song on YouTube and within 10 days, it had hit 34 million views. On February 14, an FIR came to be registered against them in Telangana. A criminal complaint was also filed by the secretary of Raza Academy, Mumbai, with the Commissioner of Police to take appropriate action against the petitioners and take down the video from social media. The academy also wrote to the Chairman, CBFC, stating that the song hurts the religious sentiments of the community. The petitioners have told the apex court in the petition filed through advocate Haris Beeran and Pallavi Pratap that the “criminal complaints have been instituted by various fringe groups based on a distorted and incorrect interpretation of the Song in the states of Telangana, Maharashtra and similar complaints are likely from other non-Malayalam speaking states as well”. The entire controversy which has resulted in the filing of various criminal complaints and one FIR arises from the lyrics of the song “Manikya Malaraya Poovi” which is a Mappila song, or a traditional Muslim song from the Malabar region of Kerala. The song describes and praises the love between the Prophet Mohamed and his first wife Khadeeja. The petition says the song is originally from an old folk song from Kerala penned in 1978 by PMA Jabbar and was first sung by Thalassery Rafeeq, in the praise of the Prophet and his wife Beevi Khadija. “The claims that it hurts the religious sentiments of the Muslim community are without any basis. What is hard to fathom is that a song which has been in existence for the past 40 years, which was written, sung and cherished by the Muslim community in Kerala is now being treated as an insult to the Prophet and his wife,” say the petitioners. The movie makers say: “The movie is an adolescent love story. The song “Manikya Malaraya Poovi” has been misunderstood by people outside Kerala (non-Malayalam speakers) as it is being wrongly translated/ interpreted and taken out of context which is leading to registration of multiple criminal cases against the petitioners”. “…if the song is translated using Google translate or some other translation software available online, it leads to a distorted translation and as a result some members of the community have ignorantly filed criminal complaints against the petitioners who are residents of the state of Kerala where the song has been appreciated,” says the petition.